Your membership and support makes this all possible! 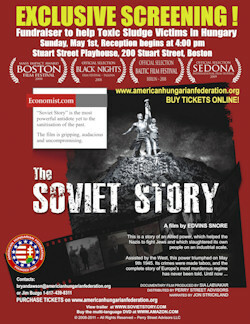 INVITATION / MEGHÍVÓ - Boston, May 1st - Fundraiser, reception, and film screening of "The Soviet Story" to benefit victims of the Toxic Sludge Disaster. AHF honors Col. Ferenc Koszorus, Sr., and Hungarian Heroes of the Holocaust, reflects on Holocaust Memorial Month. The American Hungarian Federation of Metropolitan Washington, D.C., holds annual commemoration of the 1848 War of Liberation. New Hungarian Ambassador to the United States, Dr. George Szapary, delivers keynote address. AHF Disaster Relief Fund surpasses $225,000.00! But the effects of flooding and Toxic Sludge are NOT OVER!! See how your support is helping the victims. Add your name to the Wall of Honor! AHF Amazon Store - Buy Products Online! 3/7/2011 - The 2011 Washington Hungarian Ball to raise funds for Hungarian nursery school in Bácskossuthfalva: Founded in 2005 and located in the formerly Hungarian region of Vojvodina, this is the only such school officially recognized by Serbian authorities. Despite the official recognition, Serbia has refused to extend any financial support. See the video and [Read more] about the 2011 Hungarian Ball! Strength can only be found in unity! Please join and support your AHF, an all-volunteer, non-profit 501(C)(3), charitable organization serving the community since 1906. Your donations may be tax deductible. This year's proceeds will support a Nursery School in Bácskossuthfalva (Bácskossuthfalvi Református Óvoda in the formerly Hungarian region of Vajdasag, now known as the province of Vojvodina, Serbia) under threat of shutdown, the AHF's Hungarian American Education and Culture Fund, and Wounded Veterans at the Walter Reed Army Medical Center. [Read more] and buy tickets online! Environmental Disaster in Hungary! 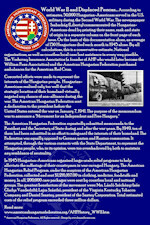 Governor Pataki Designates AHF as one of three organizations to receivedonations for the “Red Sludge” fundraising effort - At the request of Hungarian Prime Minister Viktor Orban, former New York Governor George Pataki is spearheading efforts to raise money to assist the victims of the toxic "Red Sludge" disaster in Hungary. HELP TOXIC SLUDGE VICTIMS NOW! 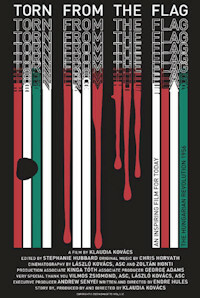 Torn from the Flag Film Screening! April 30, 2011 - New Brunswick, NJ, American Hungarian Foundation's Carousel Ball! Balint Kacsoh , MD, PhD, is a professor of histology at Mercer Univiersity's Medical School in Macon, GA where he joined the faculty in 1992. He and his wife, a pediatrician in private practice in Macon, both came from Hungary in 1986 and hold dual citizenship. They have three children, the oldest already in university.They are members of the Hungarian Reformed Church. He is the author of the medical book, "Endocrine Physiology." Buy his book on the AHF Amazon Store!